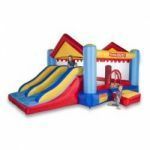 Our company rents Bouncy Castles to family parties as well as to company events. The inflatable attractions we rent are of high quality and we hold all the necessary European safety certificates. You can rent, pick up and install our attractions by yourself, or you can have it delivered and installed by our team. 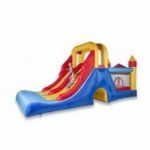 See our catalogue for the detailed description of our bouncy castles and the prices. 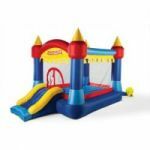 We provide both small "Party" and large "Profi" bouncy castles. We also provide a discount for families and kinder gardens - you get 50% off the price of every rented attraction except one.